Reflectance Transformation Imaging setting up amongst the monuments. 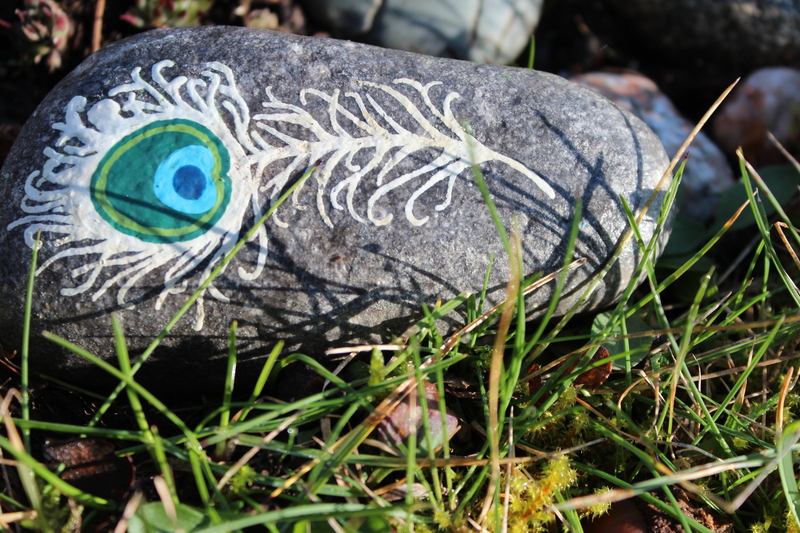 Peacock feather stone as a memory stone. 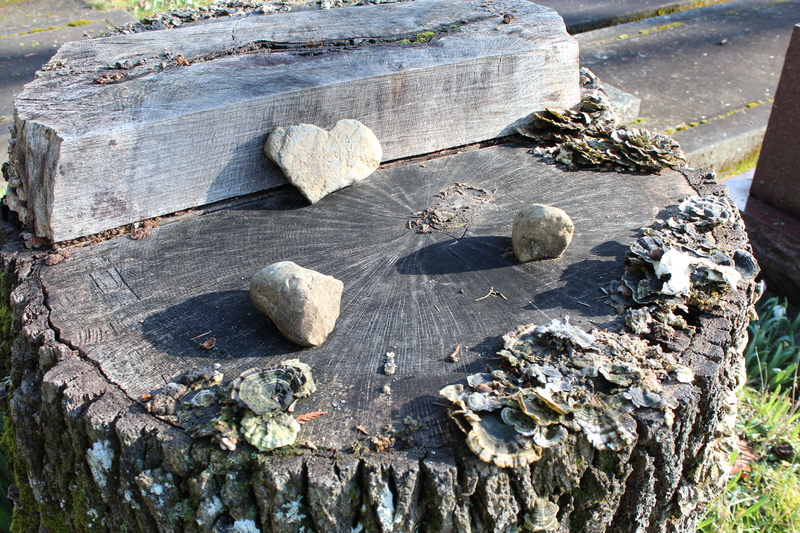 Rocks left to share an individuals care for their friends and family. In 1858, gold was discovered in the Fraser Valley. This prompted the immigration of Jewish settlers to Victoria with a range of cultural backgrounds including English, Austrian, German or Polish1, 2. In 1859, the Jewish people of Victoria gathered together to discuss the procurement of land for cemetery use. 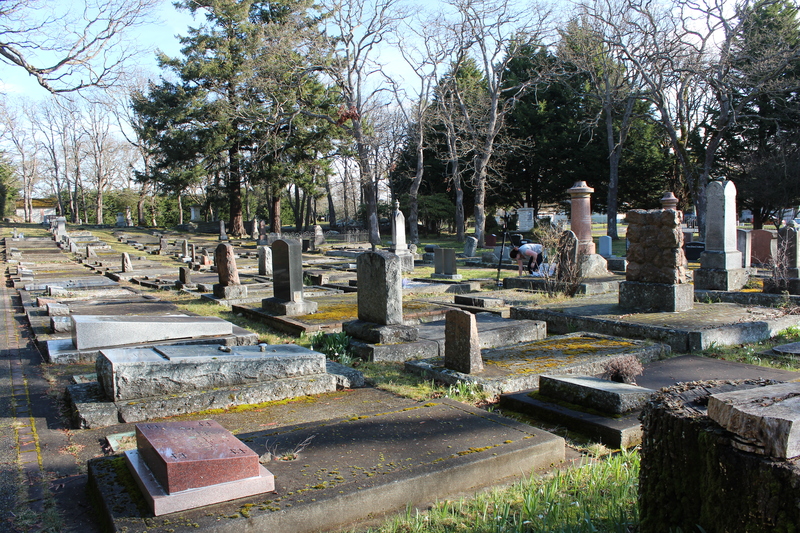 On February 5th 1860, the Emanu-El cemetery on Cedar Hill Cross Road in Victoria B.C. was consecrated for use2. On March 20th, 1861, the first burial in the cemetery occurred for Morris Price who was murdered at Cayoosh, British Columbia2. 1Congregation Emanu-el. Sefer Emanu-El: An Illustrated History of Victoria’s Jewish Community and Canada’s Oldest Surviving Synagogue. Victoria: Friesens Corporation. 2013. 2Temple Emanu-El Historical Report Sept. 2011. http://www.congregationemanuel.ca/ uploads/1/8/6 /0/18606224/temple-emanu-historical-report_sept2011.pdf. Accessed March 14, 2017. I am a 2017 graduate of the University of Victoria with a double degree in Anthropology and Greek and Roman Studies. I study the fascinating, yet occasionally morbid, study of death and burials throughout history, and how the dead are memorialized by those who cared about them. In the world of classical archaeology I focus on monuments, burials, and the landscape, as well as the social history attached to these topics. The tie between these two topics for me is the use of digital technology that can be applied to both fields of study. My focus in both of these fields has been the use of photogrammetry to look at inscriptions and engravings that are no longer visible to the naked eye. 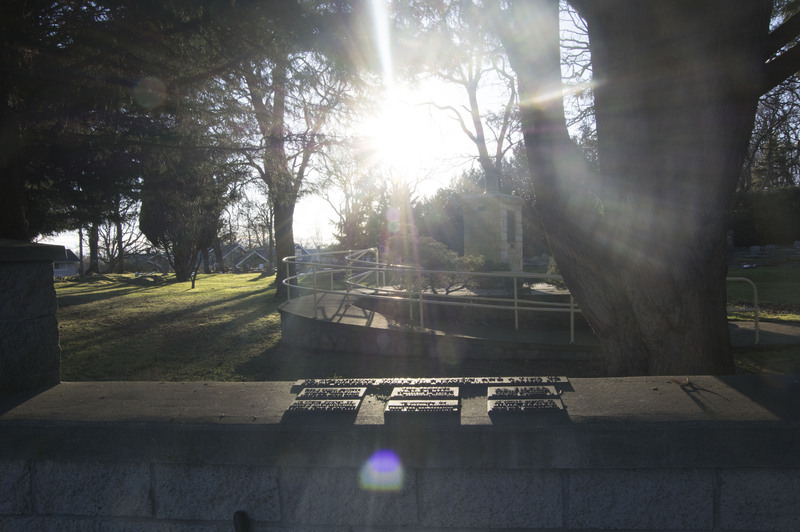 The work presented here has been done in conjunction with a larger project documenting the Emanu-El Congregation Cemetery in Victoria BC. For more information on the overall project, see the Anth 367: Heritage and Historical Archaeology page. Thanks to Dr. Erin McGuire, the UVic Anthropology Department and to the JCURA committee of 2016/2017 for their support with this project. Copyright © Melanie Heizer 2017. Images by M. Desgroseilliers, and M. Heizer 2016/2017.